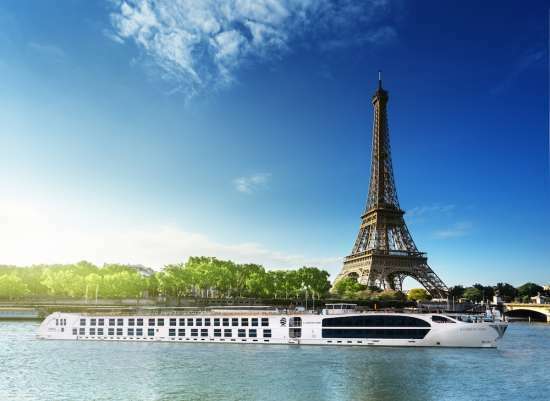 Uniworld Boutique River Cruise Collection has announced that Dame Joan Collins will be the Godmother of the S.S. Joie de Vivre, the cruise line’s newest Super Ship which will sail the Seine River. The vessel will be christened on March 27 this year. Dame Joan has close ties to France and Paris and often spends summers in the Riviera, where she maintains a residence, and attends Paris Fashion Week. The S.S. Joie de Vivre will sail Uniworld’s popular Paris & Normandy itinerary, and was built at 125 metres as opposed to the standard 135 metres, allowing it to dock in the heart of Paris. The luxurious 128-passenger vessel will feature two Royal Suites, eight Junior Suites and 54 staterooms. All rooms will have made-to-order Savoir of England beds and marble-lined bathrooms. French food, wine, art and music will be onboard. French-inspired, handcrafted furniture will feature too.